Hello.. Sorry I have been away.. Being a medical student isn’t an easy job. Not enough free time. Moreover I have shifted to a new city, so it takes time to settle down and stuff. A new show has started on Star Network. It’s called “Satyamev Jayate”. It’s a show produced by Aamir Khan and his team. Aamir Khan himself is the show host. He takes up topics related to things that are prevalent in the society.. Like on the Sunday before the last Sunday, he took up the topic of dowry, and all the problems associated with such a practice.. The shows are brilliant and it strikes straight at the viewers heart. Last Sunday his topic was doctors and the malpractices they do.. It was a brilliant show as ever, bringing tears to everyone’s eyes and stuff.. And he’s not absolutely wrong.. The malpractices that happen in India are obnoxious! After the show medical students like us had our discussions. I even talked to non medicos.. And they were pretty scared! One even suggested that we should start going to Ayurveda doctors instead! The reason was that the program was biased..
Doctors form a community which is respected by all Indians. Every doctor who can heal a patient is treated with respect. Some are treated like Gods! And then there are some who are the cheap stuff. They’re in for the profit and play with people’s lives. The point is whenever you are in for profit, you play with people’s lives.. With most professions it’s indirect, with doctors it is direct! So if a building falls down and 100s are killed, you don’t know who to blame! The engineer, the contractor, the cement guy, the metal guy, blah blah.. But if a guy loses his life because of a doctor, well, u know who to kick! In the show Aamir Khan talks about the number of licenses cancelled in the UK to those in India.. In India no license has been cancelled in the recent past.. This fact amazes the audience because that would mean that all doctors in India are either so good that there license hasn’t been cancelled or the system is corrupt! It’s true that license in India are not cancelled as strictly as they are in UK.. But did he miss a point?? YESS!! He did!! And did the audience miss the point?? OF COURSE THEY DID!! But did they ask the question? UK is a “developed” country and India is “developing”. To most it is a difference of attitude, but basically it is not ATTITUDE that makes us a developing country and UK a developed country! It’s STATISTICS!! I won’t go into much details of it as you may find enough on the net already. But there are few points I’d like to emphasize. Let us talk about the Doctor to Patient ratio.. I got this on the net. Click here. It’s an old statistics.. But u can still see the difference! Great Britain has 1 doctor for 400 patients and in India there is 1 doctor for every 1,700 patients!!! I couldn’t find the recent statistics of UK, but for in India as of 2012, there is 1 doctor for every 1953 patients.. Reference. it’s not just poor, it’s abysmal!! More so when u compare the salary!! For UK I got this on Payscale (Click) and for Indians (Click).. Comparing the lowest salary on both the charts Rs. 165,703 for Indians and £ 34,258 (Rs. 3,004,464) in UK!! Can u see the difference!! A doctor in UK gets over 15 times the salary for 1/4th the patient load when compared to an Indian doctor!! Also try comparing the least of UK and highest of India. See the difference? Can Indians afford to lose doctors!! NO WAY!! If Indian government starts to cancel licenses like UK, the already abysmal number will go down further more!! So what does the intelligent government do?? Lets not cancel license, at least the statistics will show proper!!! But is that a good thing?? I think not! But yeah, it’s the best thing that they can do right now considering the resources and corruption prevalent in the country! Very truly put by Dr. Gulati.. The doctors are not to be blamed totally.. It’s the government and the whole social system, if you ask me! Doctors are said to do a noble job and it’s called a noble profession.. But are doctors paid right? The priority of health in this country does lie at the bottom! Are not doctors human!!?? Don’t they deserve to live properly and enjoy!!?? One may say that doctors earn the most in the country! True! But did u calculate the number of hours a doctor puts in to earn that much?? I have heard my non medico friends bicker that they were made to work for over 8hrs in a day!! Doctors have to work 36hrs at a stretch in India!! No sleep no rest!! And still earn as much as any other non medical guy! PEOPLE SHOULD BECOME DOCTORS NOT FOR THE MONEY!! Yeah right! If a patient dies, the attendant kicks us; work for inhuman hours per day and get paid less; and when all’s tolerated, people come to you after watching a show and tell you “doctors are pathetic!” ARE WE NOT HUMANS!!! When somebody is treated badly, they give that in return. And it’s not just for doctors! But if a doctor becomes bad, the society suffers more than ever! So doctors should have a good moral of conduct.. Well, I say, give them enough money to have a good conduct. Make health a priority in this country. Make a proper education system so that those who want to become doctor to heal, and not to profit, become doctors. Aamir Khan did an excellent show highlighting the evils of the medical institution. What he didn’t realize that what he has done is made his audience panic! Now everyone who has seen the show will be afraid of getting treated by a doctor. All they will think is that doctor is profiting! But I ask you, are the doctors to be blamed for what’s happening or is it the government and the social system? And I didn’t even take up the pharmaceutical companies and their way of work here! Hahahaha! Try this for instance (click). In this post I’ll be talking about the caste system so prevalent in India.. The caste system when it was started it had a meaning of its own.. But the concept was soon forgotten.. I have discussed that in my previous blog post.. But soon the so called Brahmins began to think that they were superior than the other castes. They mistreated the other so called lower castes. And not just Brahmins. A hierarchy of the castes were made, with Brahmins at the top most positions in the society, followed by Kshatriyas, Vaishyas, and Shudras.. The Shudras were considered Untouchables by the so-called higher castes!! Repressed for so long the lower castes hit back.. Now they are given RESERVATIONS by the Brahmin elites!! And the lower castes are happy about it! But I ask, does that change anything!!?? The arrogant Brahmins still think that they are better of as they are somehow nearer to God or something.. Inter-caste marriages are still a nightmare in India? Why? As I said before, RESERVATIONS are the most hypocritical way of saying “We are Equal”.. Giving reservations is just a method of filling vote banks.. THAT’S IT!! It’s just a way of the so-called higher caste clearing their conscience.. It doesn’t bridge the gap.. It’s just widening it. Rather it’s cyclical! Let me explain how. There was a time when the higher castes used to enjoy all the privileges in the society. And that was irrespective of whether they were worth it or not.. Now their guilt has made them promote reservation for the lower castes. Now the reservations have become so dominant (in some places), that right now higher castes have become minorities. They are now suffering what the lower caste had suffered before.. I see less worthy people getting to better places than worthier people just because they are so-called lower caste and have reservations. This obviously infuriates the higher castes.. This rage will build up eventually.. And this is definitely not healthy for the society. I have met some people of so-called lower caste who actually deserve the reservations.. And then I again I have met those, who don’t. Does reservation of caste solve problems? NO! if government HAS to uplift the lower caste, they should uplift the POOR- people who are economically low!! Reservation for caste has no logic!! There are well-to-do lower castes who pay 500 for some things while poor higher castes are paying 1000 for the same! Is this justice? We need to educate people that caste system is of the bygone era. It has no relevance as of today! The so-called higher caste should let go of their arrogance.. Renounce their “higher powers”. Inter-caste marriages shouldn’t be a taboo! And caste system should go, once and for all! Reservations should be given to the people who are BPL (Below Poverty Line).. And not just reservations.. They should be given privileges too (which I am happy too see, are given to some extent).. Reservations shouldn’t be a “Familial” thing, but a “Situational/Socio-economical” thing, i.e. one shouldn’t be entitled to a reservation or additional privileges because of their name (thus describing them to a particular caste), but because of their socio-economic status, because of their being underprivileged. So that when they become better of and are no more underprivileged, they should no more be entitled to Reservations or additional Privileges. Maybe then we can truly say “We are Equal”! Last post on my blog was related to the misconception of equality. In this post I will talk about Female-Male Equality. This is one of the quintessence of misunderstanding that is prevalent in today’s society. The society continues to emphasize that woman can do what man can and they are no less to man and shouldn’t be mistreated. And I agree with that. But the extensions of this emphasis, according to me, are not justified. It’s the guilt of previous wrongdoings that keeps it justified. When I see around me, I see mostly a Man dominated society. Man hasn’t changed his attitude towards females. Instead, by saying stuff like males and females are equal, and giving female reservations, etc. they are just buying salvation for their guilt. Tell me, if males and females are equal, why do you need a reservation then? Does reservation solve the problem? I don’t think so.. I think it’s a palliative treatment. The definitive treatment is proper education.. Males are Females are not equal. They are very much different individuals. Man has a skeletal structure that gives him more strength than a female. Woman can give birth, can feed the newborn. A man, mostly, has a logical brain, that makes him make decisions better than females. Females have a brain and hormonal physiology that makes her more enriched on the emotional side. She has great intuitive powers. Neither Anatomically, nor Physiologically are the two same completely. So is that bad!!?? NO!!! It’s the best thing that could ever happen.. Even in Physics we know like poles oppose and unlike poles attract.. Think of it as two pieces of jigsaw puzzle fitting harmoniously together.. I think, both males and females have different purposes in the society doing their own thing and living in harmony. What I see, today in the world, at least around me, a woman wants to compete with man! I have seen women say that if they don’t get a job like men, they won’t have respect like men! Why? Why can’t men respect women for what they are.. I think the present attitude of females are because of the attitudes of the inconsiderate men.. Men think that brutal strength is THE thing that decides who’s superior and who’s inferior! If a female doesn’t OBEY his commands, he can beat the crap out of her!! THAT’S IT!! WHY?? Repressed females now hit back! They form women organizations fighting for their RIGHTS!! How pathetic can that be!! And MEN give them RESERVATION!!! Hah!! How considerate!!! Moreover, what hurts me most is how it affects the children.. I see parents leave their babies to babysitters because they can’t get time for their children.. 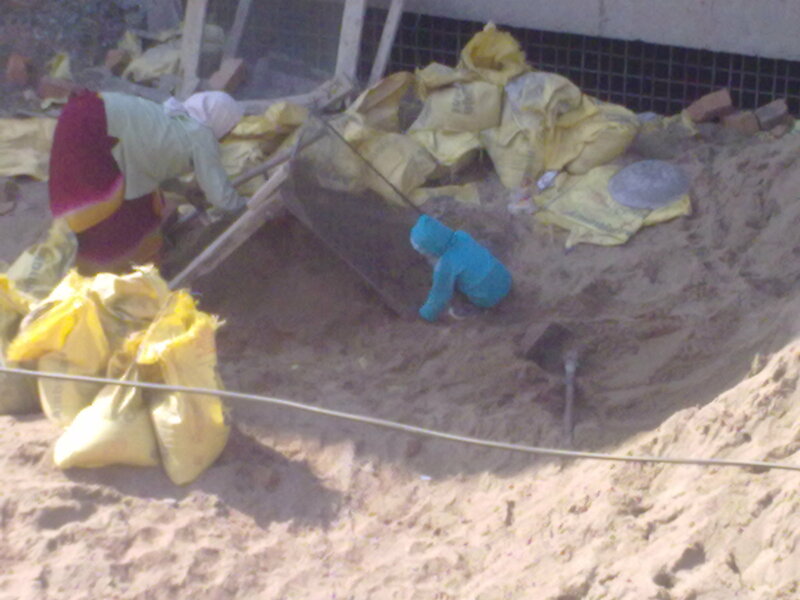 Some are so busy, that they could even perhaps forget how their child looks!! Does a child grow healthy abandoned like that? But I don’t blame parents for the situation.. It’s more because of the economic situation of the world. Anyways.. I think the world would be a better place if women were thought to be women and not men.. Women don’t need to pretend to be men, if men don’t torture them just because they are women and lack in brutal strength.. Each is a human with different characteristics and different function in the society.. None is superior or inferior.